The Town of Taos today announced that the Taos Regional Airport will begin direct charter flight service to and from Austin International and Dallas-Love Field airports beginning December 20. The air service will be known as Taos Air and will be comparably priced to traditional commercial airlines. The Taos Air launch follows the Taos Regional Airport’s opening of its new crosswinds runway last August. The milestone event was the result of a thirty-year, $24,000,000 development process, in conjunction with the NM Department of Transportation’s Aviation Division and the FAA. Copyright Photo: Ultimate Air Shuttle (Ultimate Jetcharters) Fairchild Dornier 328-310 (328JET) N406FJ (msn 3156) CLT (Jay Selman). Image: 402970. 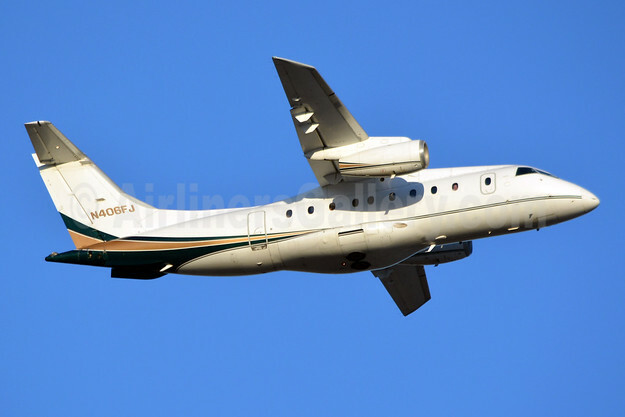 This entry was posted in Taos Air, Ultimate Jet Charters and tagged Fairchild Dornier 328-310 (328JET), msn 3156, N406FJ, Taos Air, Ultimate Air Shuttle (Ultimate Jetcharters) on October 11, 2018 by Bruce Drum.